A friend of mine used to tell me how she’d be mad at her boyfriend, and he wouldn’t even know. “We’re fighting,” she’d say, “And he has no idea.” It was clear to her that she was expending energy with her anger and frustration, and it wasn’t affecting him at all. How often do we harbor anger or resentments at others, when the one we’re really hurting is ourselves? We may feel we are entirely justified in our anger, and we may even be completely right, but bottom-line, our anger often has virtually no effect on the other person while it eats away at us and diverts our attention and energy. When our focus is the wrongs we’ve suffered or the reparations we deserve, we are keeping ourselves connected with the person we say we most want to be away from, or we’re keeping a relationship we say we want to move past. We’re keeping ourselves stuck at a level and in a place we say we don’t want to be. It can feel justifiably righteous and empowering to harbor our anger and resentment or to plot revenge. There are times I feel “stronger” because of the fuel of my righteous anger, but this strength is not true. It depletes me in the long run and keeps me focusing on what I don’t want, rather than allowing and enjoying what I do want. It keeps me down. When I can let go of my anger, I have more ability to soar. Acknowledge where you may be standing in your own way by holding someone else down, and let them, and yourself, go. Where are you consciously or unconsciously holding another person down? Where are you angry or resentful? 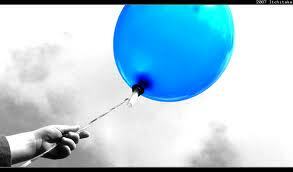 For help with letting go, contact Robyn at rmcleod@chatsworthconsulting.com.